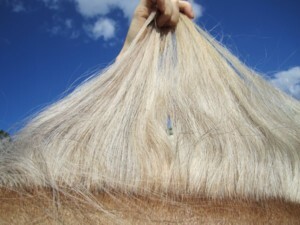 Palominos are unique amongst the dilutes in that they have a colour standard of excellence. 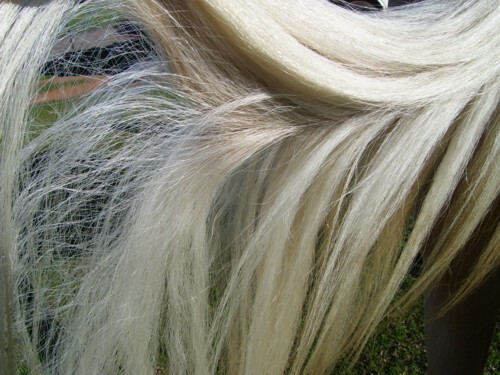 The ideal palomino should have a coat that the colour of a newly minted gold coin, is free of blemishes and a mane and tail that is white, silver or ivory with as few dark hairs throughout as possible. 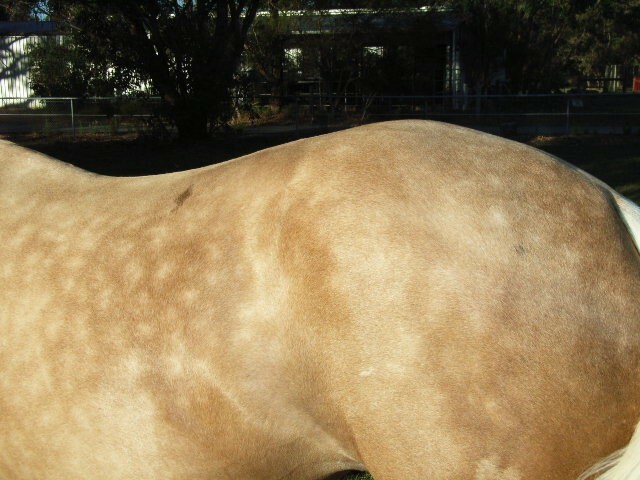 The reality however is that most have at least one or two of the colour faults illustrated below. 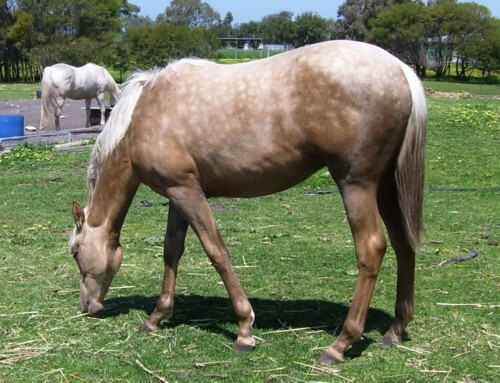 It is important for owners to understand that just because a palomino has some colour faults (ie dapples, smutting or ticking) as per the colour standard of excellence, it doesn't automatically follow that s/he is not eligible for registration. 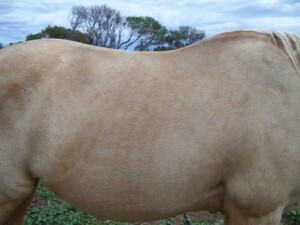 If you are in doubt as to whether or not your palomino will pass classification, please contact the registrar and send in some photos. 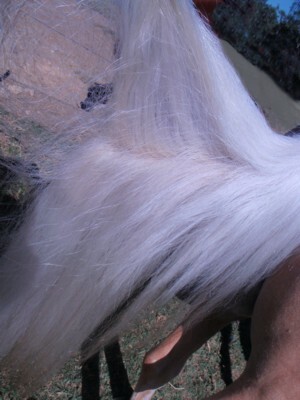 White mane (desired). 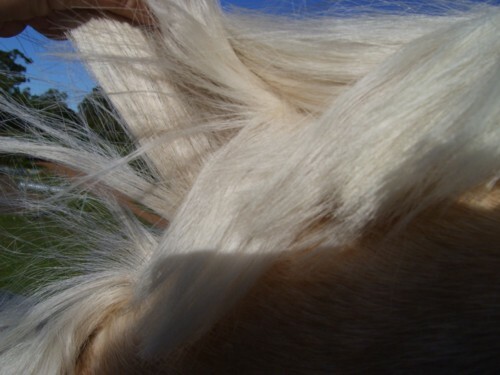 No coloured hairs present. 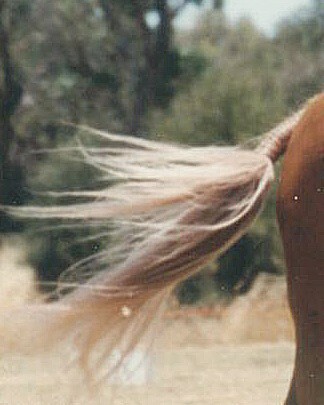 Off white mane - some palomino hairs present. 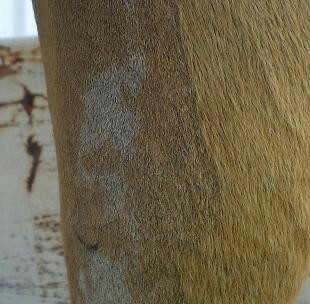 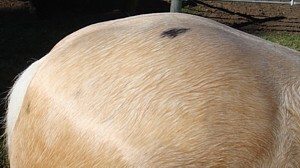 Ivory tail - usually caused by the presence of palomino hairs. 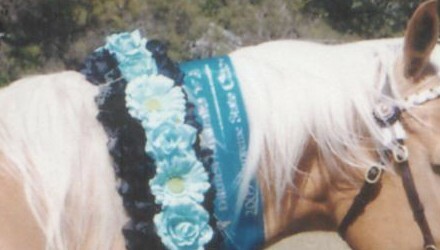 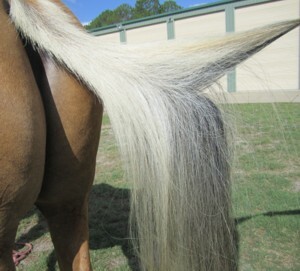 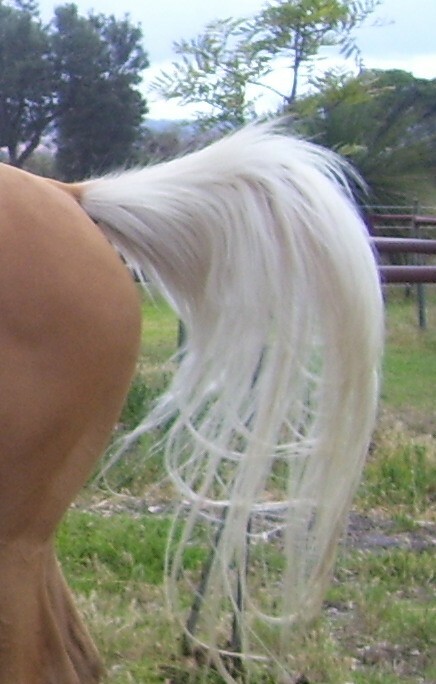 The more palomino hairs present the more ivory the tail appears. 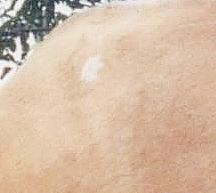 May also be black hairs present.